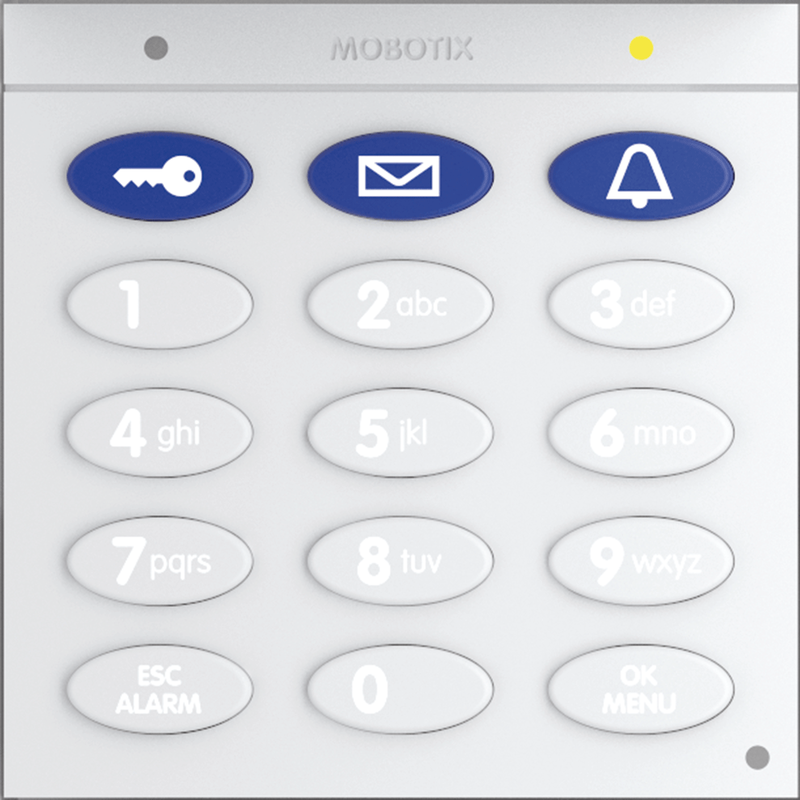 This MOBOTIX-developed module can be used for several functions. 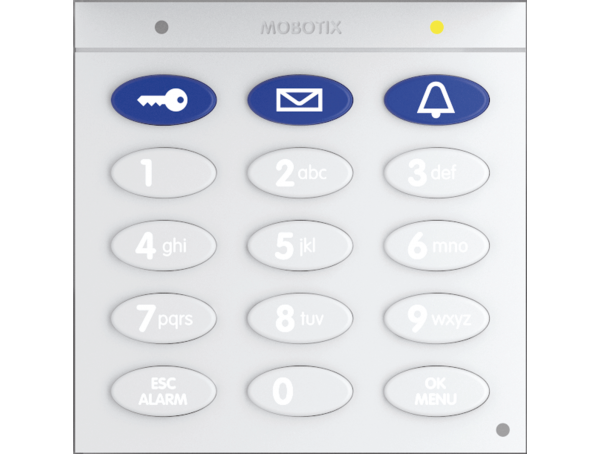 Outdoors, it functions as the access control interface, either by entering a code on the keypad or by means of keyless access using a transponder (as a check card). The module can also be used by visitors and residents to record and play back messages.